Repair Tile Damage – tiles in need of repair. Melbourne Roof Cleaning and Restoration care as much about your roof as you do. 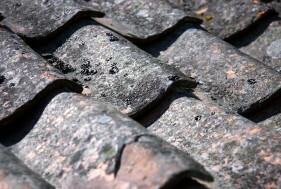 You can rely on our roofing experts for a Tailored Repair Tile Damage Solution based on your individual requirements. Quality Roof Restorations are essential for keeping the roof over your head and extending its life. Ask us about our trademark 7 step roof restoration process, exclusive to Melbourne Roof Cleaning and Restoration. If your roof is damaged, leaking or you have broken tiles or loose mortar, contact Melbourne Roof Cleaning and Restoration for an obligation FREE Inspection and Quote. Our expert roofing specialists will advise on the recommended course of action to get your roof back to its original condition. We use only the best quality products and all work comes with a 7 Year Guarantee.